On the ground floor is permitted the use of the library, the portrait salon, the loggia (enclosed during the cold months), a cloakroom, and two bathrooms. On the main floor, the entry salon, the ballroom and two bathrooms. If the ballroom seating capacity (120-140 persons at tables) is not sufficient, adjoining rooms can be used at a surcharge of 20 euros per table. Maximum seating capacity is limited to 350 persons. The great lawn to the south is available for refreshments or al fresco dining, while the two smaller lawns to the west are intended for parking. 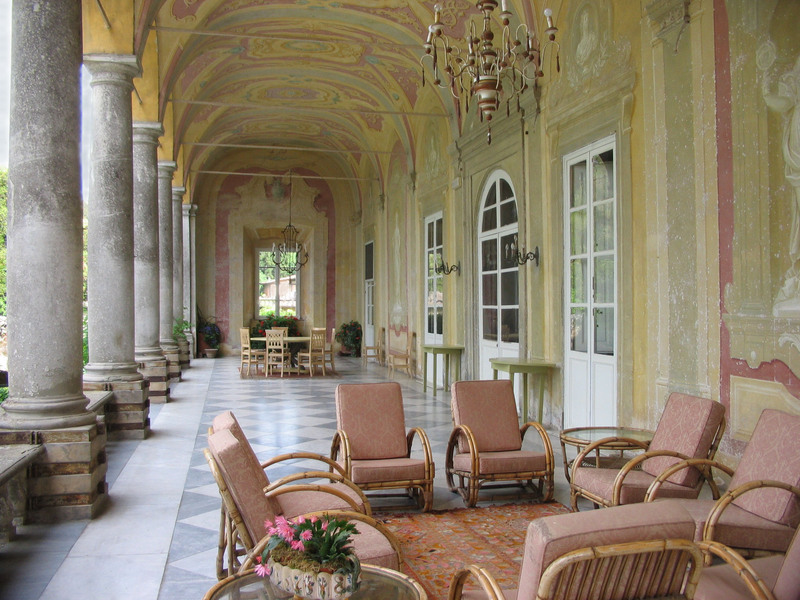 The grounds of the villa are completely open to the newlyweds for taking photographs. Dancing is permitted only on the loggia, and not later than 1 a.m. The volume of any music being played after that time must be lowered to normal listening levels. Generally speaking, the time allotted for a reception is 7 hours; that is, from the arrival of the first guest to the departure of the last, but special arrangements can be made to extend the time period. In any case the music volume has to be lowered at 1 a.m.
A receipt will be issued for either method of payment.